A lady elf dressed in white with colorful poinsettias is surrounded by a green border on this festive stationery. Vine accents match the flowers to create a refreshing Christmas letter border. 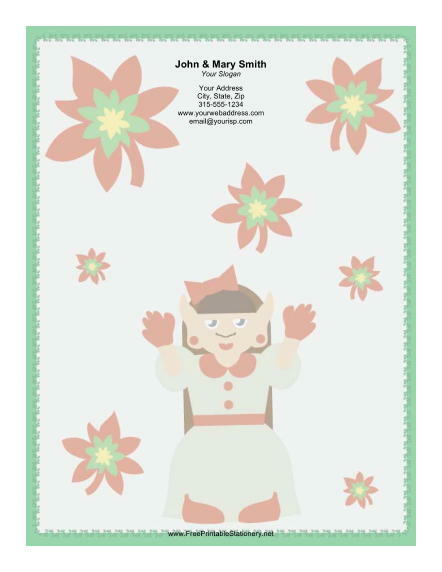 This cheerful holiday paper is perfect for writing letters to family and friends.